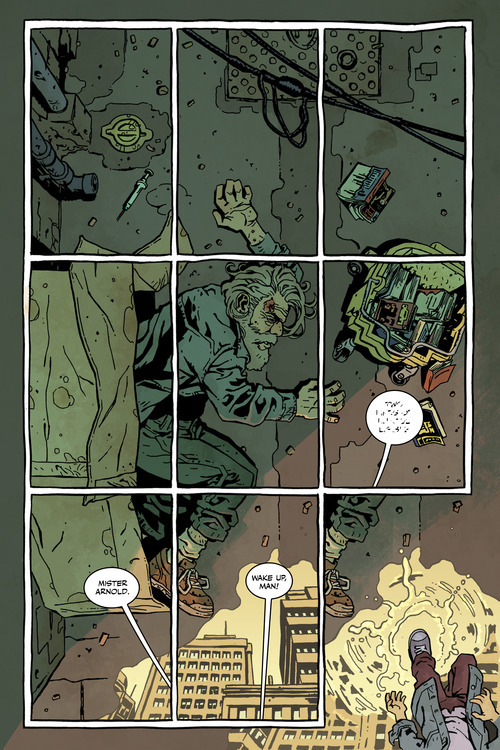 Comic Review: The Dregs #1 Begins an Intense Urban Mystery! The Dregs is a new series from Black Mask and the debut issue is great, engaging & totally original read. I love comic books that genuinely bring something new to the table and The Dregs is totally fresh one that at least for the time being doesn’t seem like it’s been done before. It take place in Vancouver BC and begins an intriguing mystery to life in a city that’s rapidly gentrifying. The main character here isn’t handsome or rich, we follow a drug addicted homeless man as he embarks on a bizarre journey to find one of his friends who’s suddenly disappeared from the streets without a trace. Lucky for us his whereabouts are revealed to us within the first few pages, very unlucky for him though. The story starts off with quite an opening that you’re likely to be thinking about long after you put down the first issue. The Dregs looks like it’s going to be tackling some real world issues as we see the hip yuppy filled city from the eyes of the people who actually live within it’s darkest corners. For me I’m seeing a lot of what’s happening within the pages of this debut issue happening for years within my place of residence Portland, Oregon. People have been being pushed out of their homes now for year and recently at a more alarming rate that ever before. Many cities all over are getting complete makeovers, filling quickly with shiny boutiques, high priced coffee houses & hip over priced restaurants. The wealthy are flocking to places while housing and rent prices have shot through the roof. The Dregs takes a chilling look at life from the other side of the tracks and formulates a tense paranoid mystery in which the book’s protagonist has strangely wandered into. You might never look at the hipster neighborhood restaurant in the same way ever again. I gotta forewarn you though that this one has got some pretty graphic imagery in it but thus far in one issue alone I’m completely sold with this one’s unique mysteriously sticky plot it’s quickly spun. 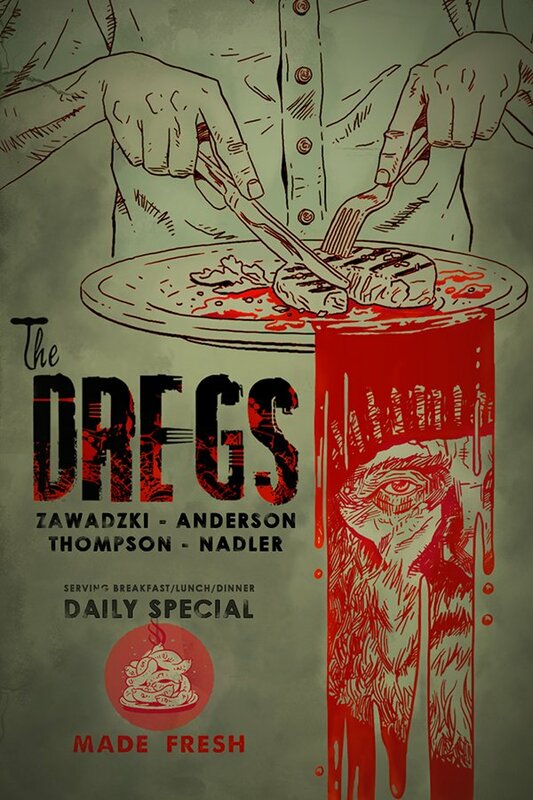 The Dregs is clearly a social commentary on the idea of gentrification and the forgotten people who’re thrown under the bus for the next Whole Foods or hip organic ice cream shop. More so the debut is a fully solid whodunit done completely outside the norm. The artwork is great as well capturing the gritty struggle people of the street face everyday. We often rarely address the homeless as real people with real feelings and real stories to tell, however The Dregs so far has brought it into the limelight revealing that the so called “bum” on the street corner likely has a more interesting story to tell than the most wealthy man or woman who’re living the cozy yuppy dream. Check it out, it hits the shelves January 25th! Movie Review: ‘Mosquito’ the Proper Sequel to ‘The Texas Chainsaw Massacre’! Hellboy 3: Will It Really Finally Happen? !